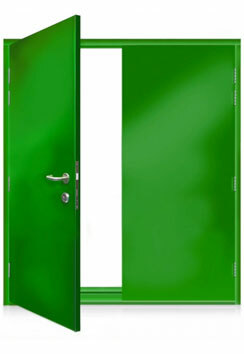 Steel security doors certified by LPCB to LPS 1175 Issue 7 Level SR1. 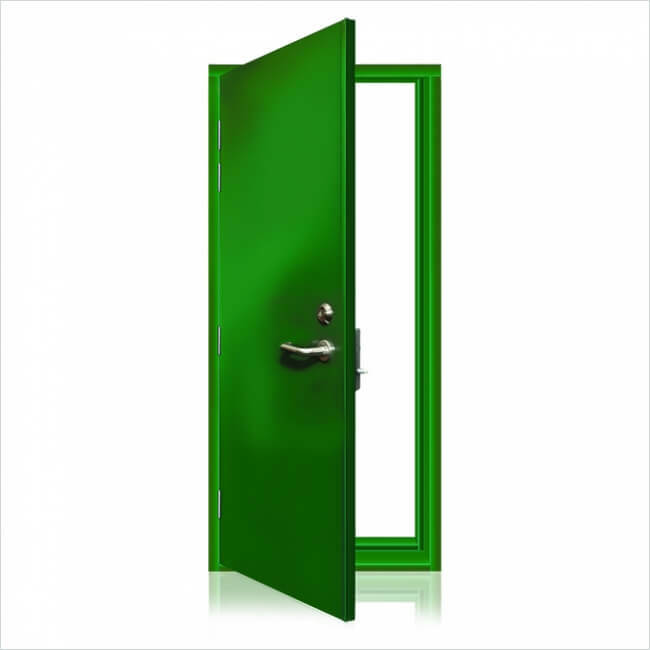 Comprehensive range of locking options across both single and double leaf doorsets. 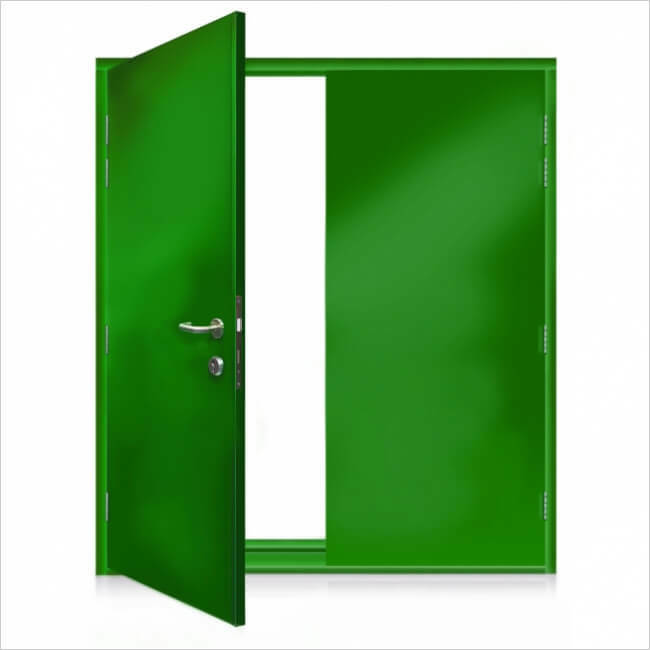 Steel doorsets available with fixed, removable or hinged overpanels. All doors hung on stainless steel hinges. Heavy duty barrel bolts fitted as standard to all double door sets. Manufactured from Electro-Zinc coated steel for increased corrosion resistance. 45mm composite door leaves with incorporated anti-lever lip to closing edge. Single rebate threshold (welded to frame) providing rigid and strengthened frame set. Available in a wide range of powder coatings to BS or RAL colours. Profile: Single rebated 38mm x 100mm. 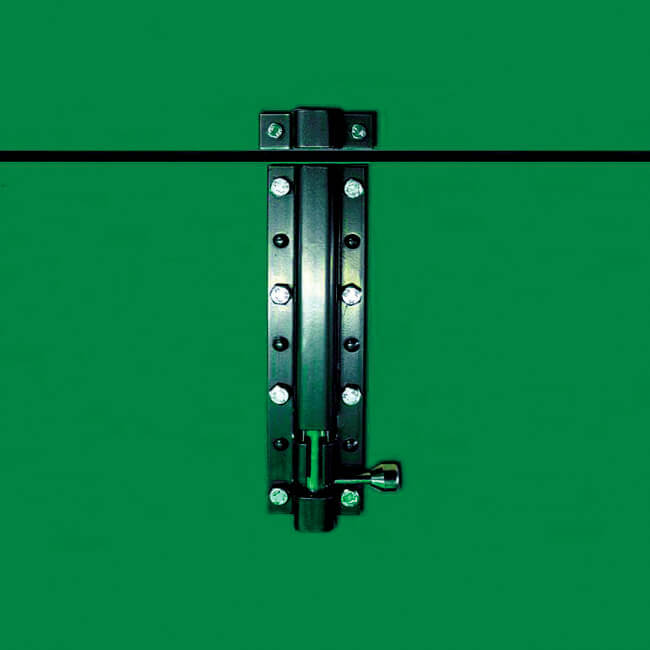 Reinforcing: At all hinges, lock keeps and fixing points. 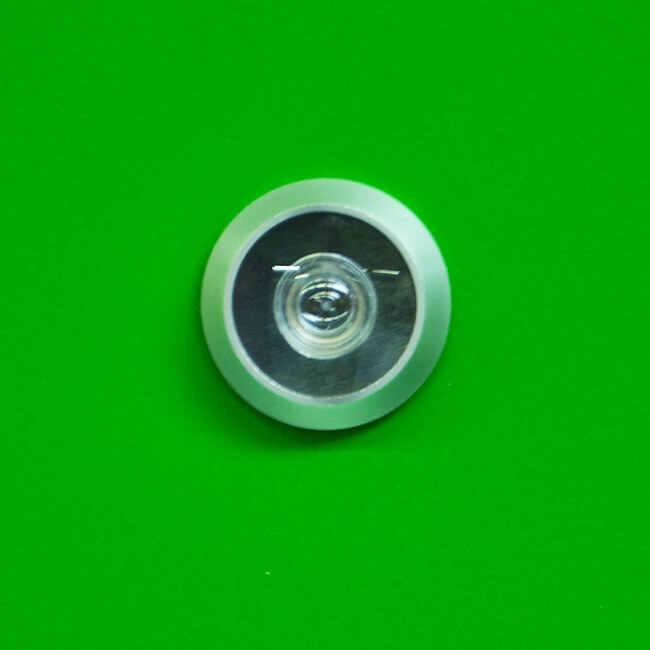 Material: 1.5mm Zintec attack face with 1.5mm inner face. Double leafs are internally protected with sheets and reinforced with anti-crush plates and strengthening brackets. Size: 45mm thick composite door leaf with incorporated astragal lip to closing edge. Weight: Approximately 40 kg per square metre (depending on model). 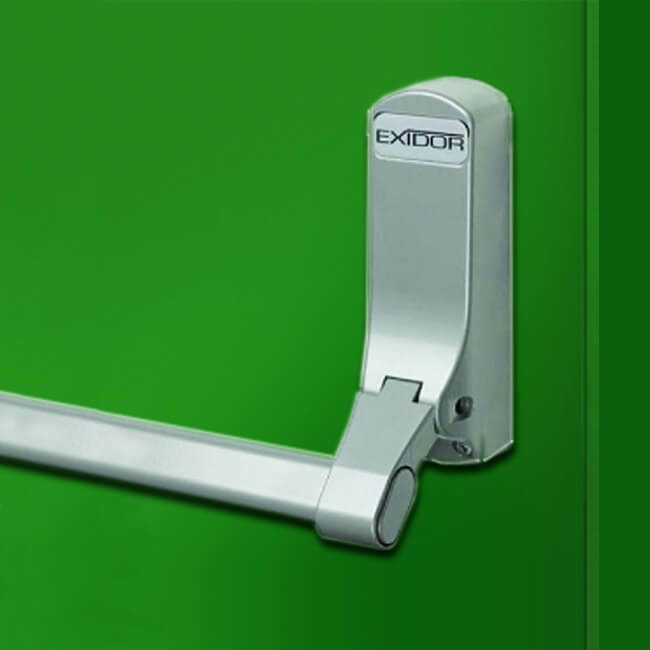 High security locking options from Nemef and Zero and panic furniture from Exidor are available for single, leaf-and-a-half and double lead doorsets. Heavy duty barrel bolts are fitted as standard to the passive leaf of double doorsets. 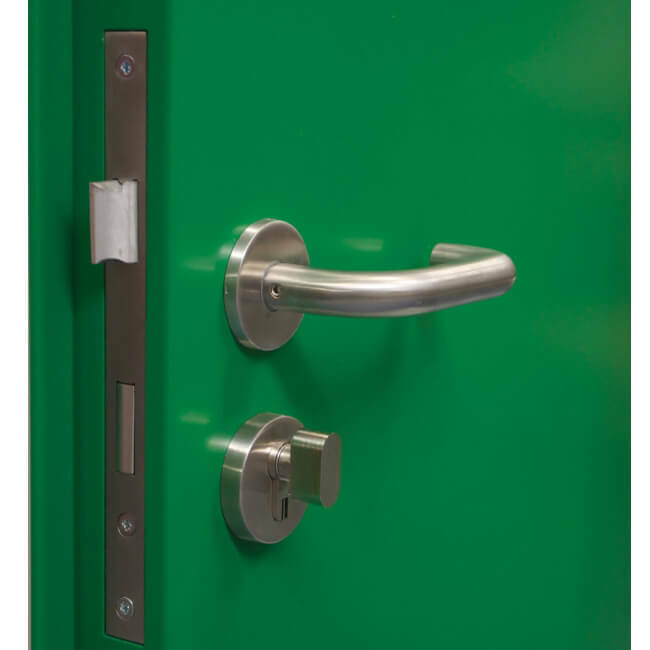 Doorsets can be supplied with rated overpanels. These can be either fixed, removable or hinged overpanels. Single: hung on 4” x 3” stainless steel hinges with a minimum of 4 per leaf. Double: hung on 4” x 3” stainless steel hinges with a minimum of 4 per leaf with top and bottom heavy-duty barrel bolts as standard on passive leaf. Profile: Low level with stop threshold (welded to frame) – most common and suitable threshold for a range of applications. Panic escape push bar option. Key driven option with thumbturn. Barrel bolt fitted as standard to passive leaf.